Khalid’s illustrations characterise the inspirations and influences of popular culture on his personal and professional practice. Formed due to the fast, bright world we all share, he brings into his artworks, elements from everyday life; colour, iconography and other interactions encountered. This allows viewers to embrace the beauty of Arabic traditions, while living in a vibrant, modern metropolis. Playful and often quirky, his work is both intricate and loose, leaving room to breathe and allows the eye to get lost in the twists and curves of his lines. He is inspired by comic books, music, fashion and Dubai’s ever-evolving landscape and people. 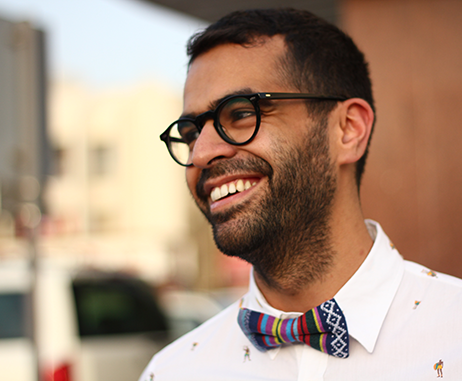 As an independent graphic designer, illustrator and artist from the United Arab Emirates, Khalid founded the interdisciplinary studio and brand krossbreed in 2010, that promises to create contemporary, culturally-infused designs with unconventional flair. 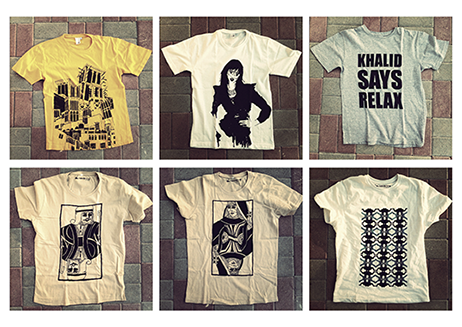 krossbreed products range from t-shirts, prints, stationary, wallpaper, furniture and more to come. He graduated from the American University of Sharjah with a BS in Visual Communication, and has since been inspired to participate in group exhibitions, projects, & residencies, both in the UAE and internationally. 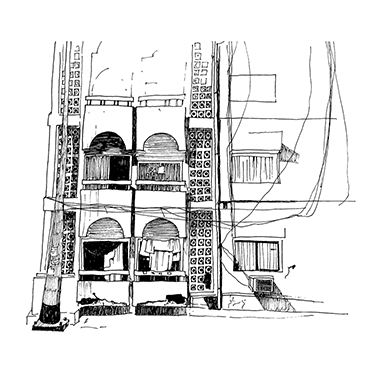 This Autumn Capsule Arts will launch a set of limited edition art prints by Khalid Mezaina that will be available to purchase at capsulearts.com, for more details about his featured artworks and the launch collection sign up here.